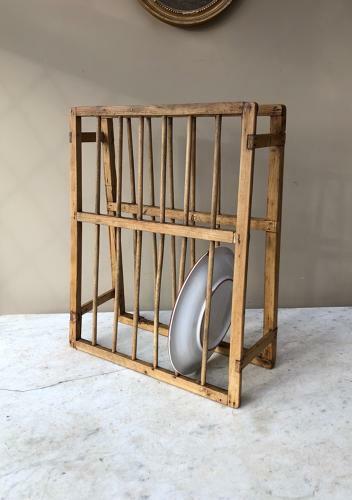 Victorian Pine Plate Rack...Cute Small Size. Made well and a sturdy piece which will freestand on a worktop or wall hang. If you look at the last photograph (the back) there are Victorian Iron brackets on the corners of the base so it is perfectly ok to hang and hold. The bottom tier holds 10" dinner plates it wont hold plates any larger. I think I can post this in a large box Parcel Force 48 for £15.